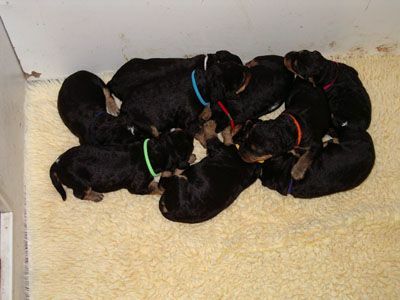 ATCV Breeders Directory members are experienced in providing family pets/companions, as well as potential show dogs and, who abide by The Airedale Club and VCA codes of ethics. Members of the ATC Vic. Breeders’ Directory is not an automatic entitlement. 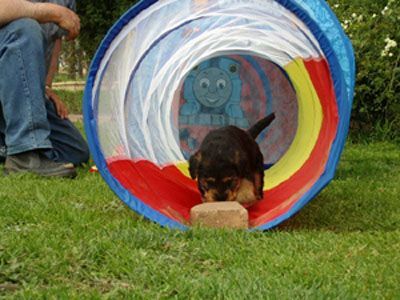 Many breeders don't reach their standard of care or knowledge of the breed or followup support that our club demands of them. 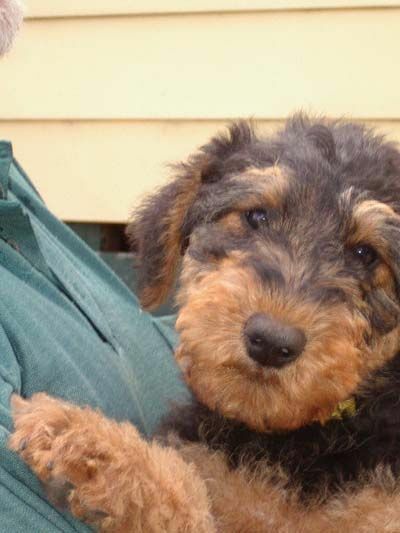 Health considerations: Airedales have few health issues, and breeders should be happy to show the results of any health testing carried out such as HD hip score reports of both parents. 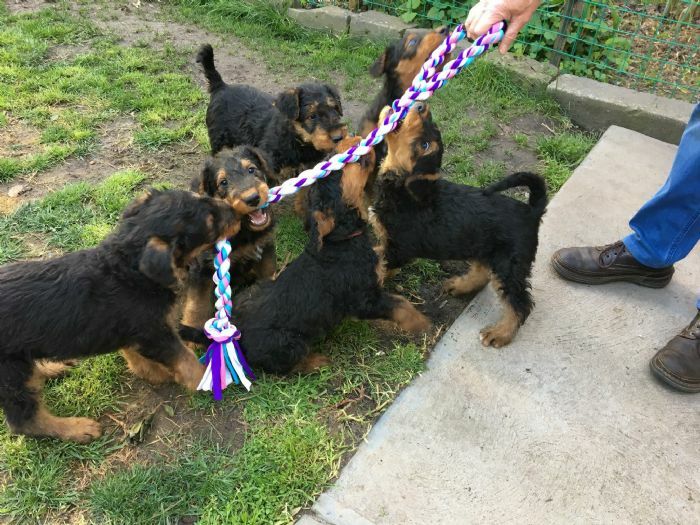 Ask if this breeder is experienced in grooming, trimming Airedales – including hand stripping and, is he/she able and prepared to teach you if required? Is this breeder forthcoming in providing information on ATC Vic. membership and activities should you wish to connect? 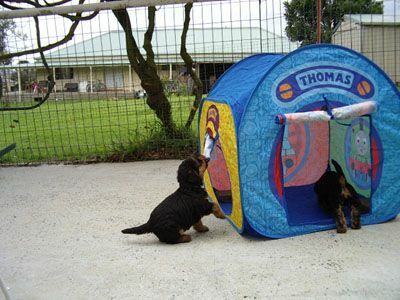 Check that the pup comes with an Australian National Kennel Council State body such as Dogs Victoria (Victorian Canine Association) pedigree/registration, is vaccinated and micro-chipped. ATC Vic Breeders’ Directory members should be happy to discuss any relevant queries you have.